Affordable and Trendy Property with comfortable rooms. JDM Residency is an affordable and trendy property located in Arjun Marg, Udyog Vihar. The metro station in the vicinity is Sikanderpur metro station.The rooms are spacious and well-lit with ceiling lights. The decor is simple and clad. 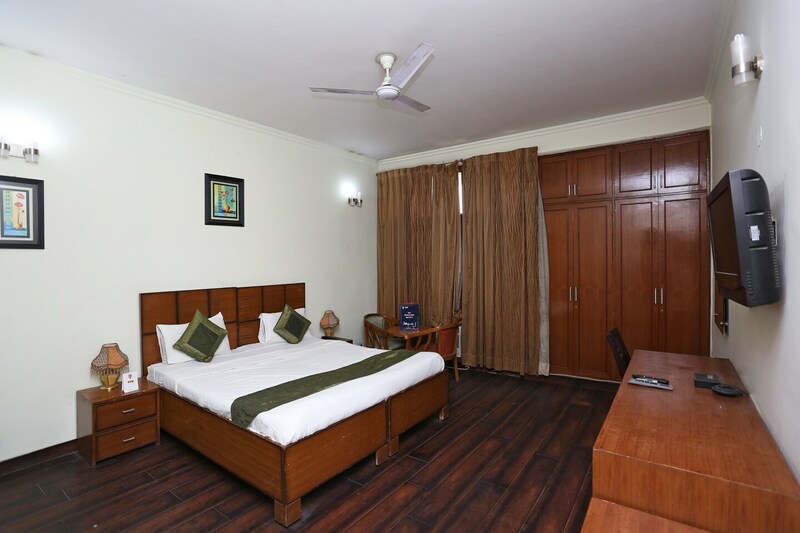 The light shades on the wall give a cozy and comfortable vibe to the room.Each room is equipped with free Wi-Fi, King-sized bed, AC, TV, and geyser. The rooms also have an In-built Closet and a chair-set. The hotel also offers power backup and has CCTV Cameras for Surveillance.The restaurants in the vicinity are Captain Grub, Sweet Obsession, Qureshi's Kabab Corner, Minus5degree, and Tunday Kababi.